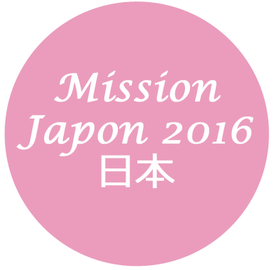 Québec's delegation in Tokyo - Site de missionjapon2016 ! 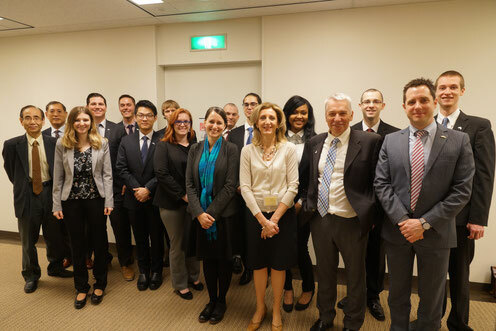 For our first visit monday morning, we had to go meet Quebec’s delegation in Tokyo. They received us with maple tea and maple rusks, a good mix of Japan’s and Quebec’s cultures. They explained what they do here in Tokyo. They are in charge of creating business oportunities between companies of different domains such as the food industry and the technological industry. They also promote Quebec’s culture and the french language throughout Japan. They also help Quebecers artists who are touring Japan. Thanks to them, there are oportunities to create partnerships between Japan and Quebec. A good example of such partnership is the Diamant Theater in Quebec City for which a Japanese company invested one milion dollars. We attended to a presentation on Japanese culture and received a few tips about manners and how to act in this country, as well as why some comportments are observed. For example, business cards are significantly more important there because there is no phone book in this country. It would also be very discourteous to discard someone’s card without looking at it. This society works as a network, and business cards is the way to get in touch with someone. Quebec’s general delegate also introduced herself and her work to our group. We also met with their intern who worked hard on our case and our requests. We can say this first meeting set an interesting tone to our mission!